On Tuesday we loaded up our packs and headed out for a day hike. Uzès has a beautiful lookout point with forest views as far as the eyes can see, and we spotted a couple trails that looked like they’d be good for a stroll. After making a couple wrong turns and clearing some brush with my trusty Swiss Army knife, Anna finally found the trail. We hiked up and up and were finally rewarded with some great views of Uzès. Uzès has a market day on Wednesday where tons of local vendors come to sell their goodies in the town’s main square, Place Aux Herbes. We got up early to rub elbows with the locals and get our groceries for the next couple of days. We visited the fruit guy, the veggie guy, the olive guy, the wine girl, the egg guy, the fish guy and the cheese guy. Oh, and we picked up our daily baguette from the boulangerie located right downstairs from our apartment. We actually share a stairwell with the bakery, and the smell of fresh baked pastries coming into our apartment all day long is heavenly and torturous at the same time. We feasted for the rest of the week on all our market grub! On Friday we took a quick bus ride to one of the region’s most historic sites, the Pont du Gard, an ancient aqueduct bridge built by the Romans in the 1st century A.D. The bridge provided an excellent backdrop for another picnic, some reading and a nap (all this cheese eating and wine drinking has been exhausting). Tomorrow we’re off to Couiza for three weeks for our first farmstay. We can’t wait to meet our hosts, check out our new digs and get to work! 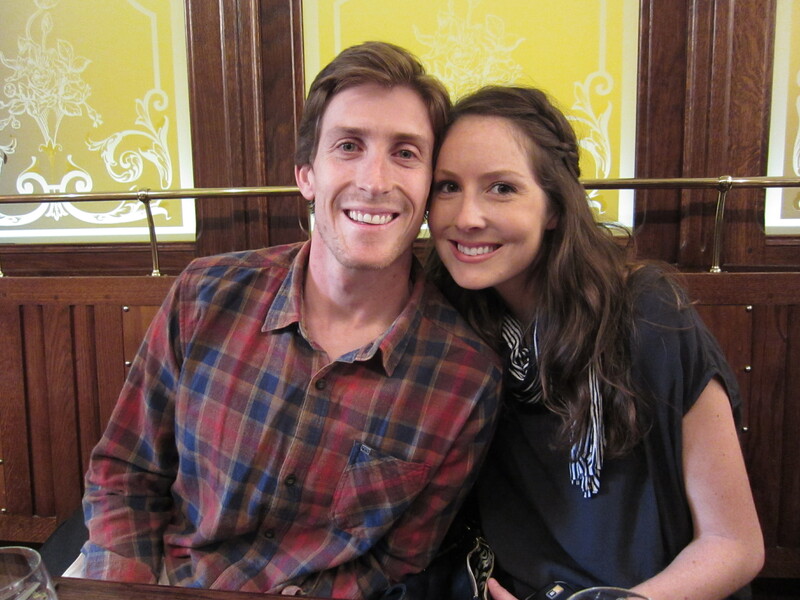 Oh, and Anna wrote her first of many guest blog entries for Quiksilver. Check it out here. Having spent the last three and a half weeks in France, Johnny and I are beginning to feel “trés Français,” and we’ve been picking up some French fun facts and serious knowledge (or at least we like to think so) along the way. Before all of that knowledge leaks back out of our more-relaxed-than-usual brains, we thought we’d write some down and share them with you! 1. Hearing the song of the Cicadas, or “chant des Cigales,” is the first sign of summer. We heard the first sounds of the Cicadas at lunch last Friday in Eygalières. Everyone was très excité! 4. Grape vines thrive in rocky soil which allows for better drainage and heat absorption from the sun. The bigger the struggle, the larger the reward! 5. In Provence and throughout France the name of the grape (ie: Chardonnay, Syrah, etc) is usually not used on the bottle because winemakers feel that the soil and landscape of the area, or the “terroir,” is what gives the wine its unique qualities and flavor. This actually makes it more difficult sometimes for French wines to sell in the U.S., because people are less likely to buy a bottle without the name of the grape identified. 7. Napoleon the 1st ordered that Sycamore trees be planted along roads to towns so that soldiers could march in the shade….hence all of the beautifully tree-lined roads shaded by canopies of leaves throughout France. 8. Milk is typically sold on the aisle, not in the refrigerated section of the market (It took Johnny and I a few laps around the market to figure this out!). 1) Tilt the glass almost horizontal and check the color. 2) Smell the wine and identify the families (fruit, flowers, earth, animals, spices, etc). 3) Swirl your glass and smell the wine again. More families will now be apparent. 4) Check the legs. The more legs, the fuller and smoother the wine will be. The less legs, the drier and more crisp the wine will be. Legs are a result of the oil in the wine which comes from the seeds of the grape. Plump, fat grapes resulting from cool weather will have big seeds and more oil in the wine. Smaller grapes with smaller seeds from hot weather will have less oil in the wine. 5) Take a large mouthful of wine. Tilt your head forward and “slurp”, or aerate the wine in your mouth three times. Then “chew” it a couple times, so that it hits all of your tastebuds. Then swallow. 6) Aerate your empty glass by swirling it and “doing the disco”. Then smell in the glass one last time. You will discover even more families with this final whiff. We bid farewell to Beaune and after three too-close-for-comfort train connections we arrived in a rain soaked Avignon, our home base for the next week. Wait, I thought Provence was supposed to have 350 days of sunshine a year…what’s going on here? Our cabbie told us that after two straight months of 30°C weather (whatever that means), the rain was a welcome sight. Fair enough. We navigated some damp cobblestoned streets to the apartment we rented, and thus began the awesomeness. The apartment was absolutely incredible. In the shadow of Avignon’s most famous site the Palais des Papes, we felt like we were living in medieval times (only with a fully-stocked kitchen and flushing toilets). Since we were a little pooped from the travel day, we picked up some pasta, tomatoes, onions, garlic and all the €3 Cotes du Rhone wine we could find and whipped up an amazing dinner. Cobblestoned lane out our front window Steady with that pour, Big Pete! We spent the entire day exploring Avignon, and after only a couple hours we knew we picked a great spot for a home base. We started the day with a visit to Les Halles, the city’s covered market (and Johnny’s new happy place). Picture your favorite farmers’ market. Now picture your favorite farmers’ market on steroids…organic steroids, of course. Now add a few groups of weathered Frenchmen drinking red wine, smoking cigarettes and playing cards at 9 a.m. And voilà, that’s Les Halles. Rows and rows of vendors selling seasonal produce, cheeses, breads, seafood, meat, wine, herbs and spices. We picked up some more pasta, some pesto, sun-dried tomatoes, goat cheese and a fresh baguette for dinner that night. In the afternoon we leisurely walked around the city’s narrow streets and discovered its numerous hidden squares. We also walked up to Rocher Des Doms which had amazing views of the city and the Pont D’Avignon, its famous destroyed bridge. We took a 17-minute train south for a day trip to the city of Arles, famous for its Roman ruins and Vincent Van Gogh history. We wandered around and saw one of the best Roman arenas outside of Italy as well as several of the sites that inspired Van Gogh’s most famous works. Arles was a little rougher around the edges than Avignon, and even though it was a solid day trip, we were happy to come back to our apartment…especially since we had reservations at La Vache à Carreaux that night. Literally half a block from our front door, the restaurant specializes in cheese and wine. We had a fantastic charcuterie plate, jambon wrapped goat cheese, a goat cheese baked with honey, almonds and apricots, and a camembert melted with white wine and garlic. Wowzers. Tuesday, June 7, 2011 had been marked on the calendar for a while now. This was the day we were taking an Avignon wine tour with Avignon Wine Tour (not just a clever name), and it was Anna and my Christmas gift to her parents. We had been talking about it for months so I was feeling a little pressure, but our day lived up to the hype and then some. Avignon Wine Tour has a different tour every day, and on this day we toured some towns and tasted some wines from the Luberon valley, southeast of Avignon. We visited Menerbes, Bonnieux, Lourmarin and Cucuron (nowhere to be found in most guidebooks), and each one gave us a “oh my god, let’s move here” moment. This wasn’t your typical “let’s go to Temecula and see how fast we can black out” wine tour. Each tasting was preceded with tons of info about the region, soil, grapes, winegrower, etc. and followed by long walks through the towns and espresso breaks. Our guide Francois was full of surprises, jokes and fun facts about the region, and he had a soundtrack full of killer French tunes and Puccini operas. Lunch at Cafe de la Gare, a 100+ year old restaurant near the abandoned train station in Bonnieux, was definitely a highlight. We had a buffet of all-you-can-eat regional specialties, pasta with veal and mushrooms and all-you-can-drink local wines for €14. We all decided that we learned more and had the most fun on this day than any other wine tour we’d ever been on. All in all, a perfect day. 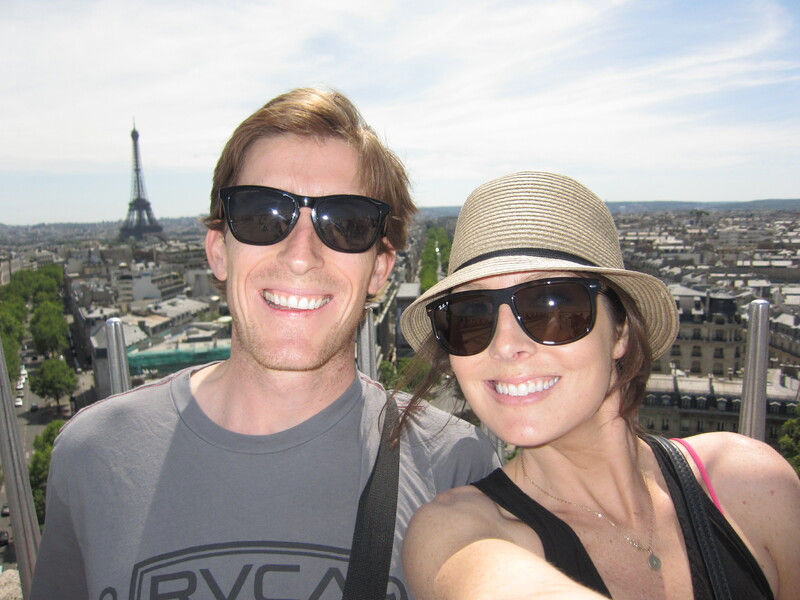 We spent the next couple days in Avignon fully slipping into the Provencal lifestyle. 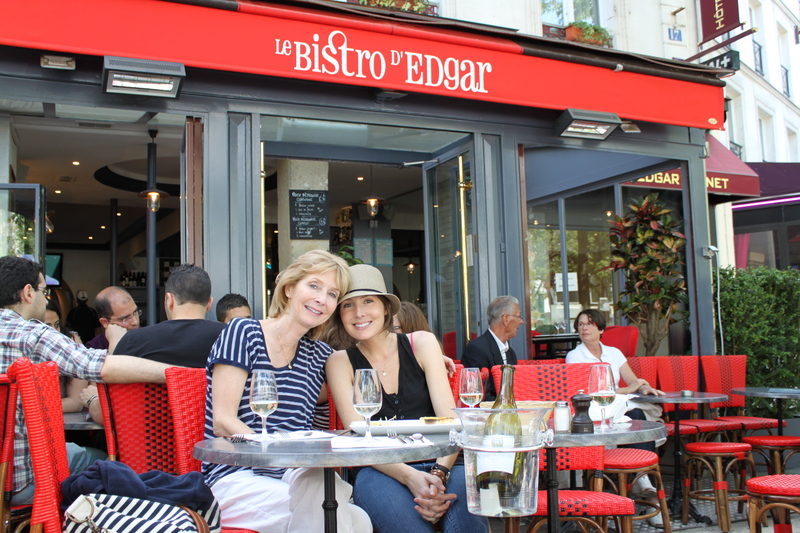 We’d sleep in, have long breakfasts, take more visits to Les Halles for picnic supplies, pop our heads into the city’s many Artisinal shops, have afternoon espresso breaks, cook dinner and end our days with ice cream in the main square. I could get used to this. Well, we had such a good time on our wine tour on Tuesday that we ended up booking another one for Friday. Imagine that. This time we’d be touring the towns and tasting the wines of the Les Baux de Provence region. It was another amazing day filled with good wine, good food, picturesque scenery and tons of laughs. I’ll let the pictures do most of the talking. A perfect end to a perfect week in Provence. 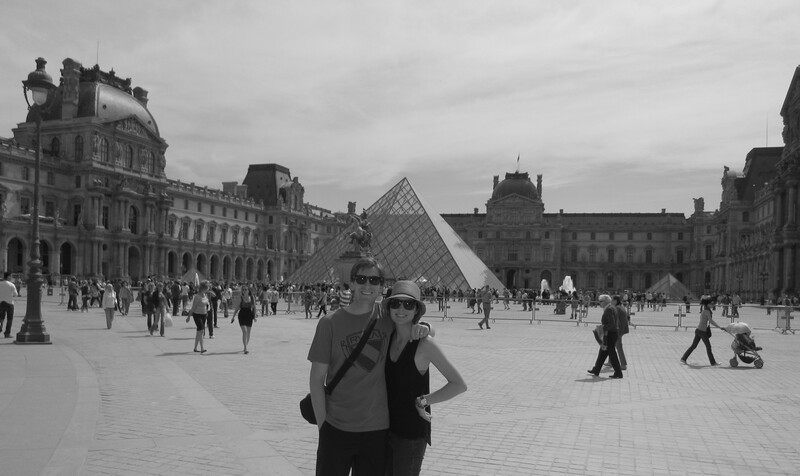 Paris was absolutely incredible, but after five action-packed days we were ready to slow things down a bit. 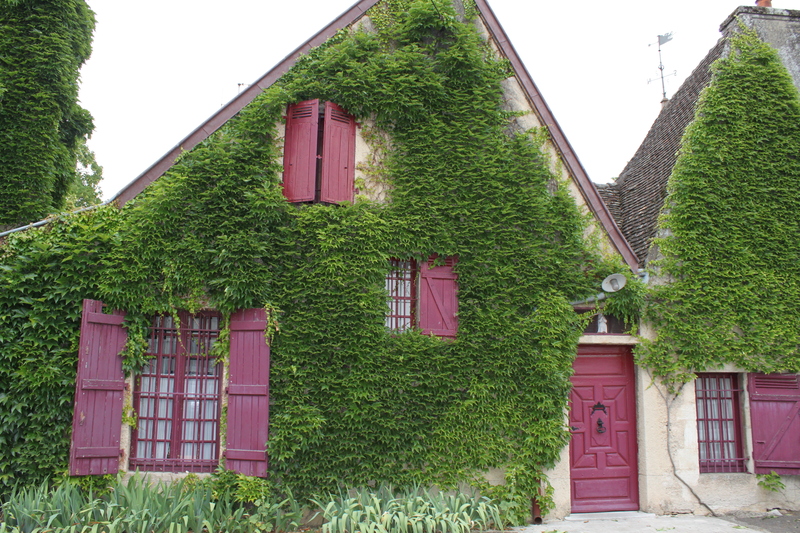 We found what we were looking for at our next stop Beaune, a small wine town in France’s Burgundy region. With no metro to hop on or historic landmarks to check off a list, we spent our days strolling the town’s ramparts and popping in and out of its countless wine shops. We toured Beaune’s largest wine cellar, Patriarche Pere et Fils, which dates back to 1780 and has miles upon miles of underground caves. Plus they let you “self-serve” tastings of 13 Burgundian wines for a whopping €10. We got our money’s worth and then some. The weather warmed up some on our last day in Beaune, so we decided to pack up a picnic, rent some bikes and head out into the vineyards. The instant you leave town you’re immersed in lush vineyards as far as the eye can see, interrupted only by the occasional chateau or castle. 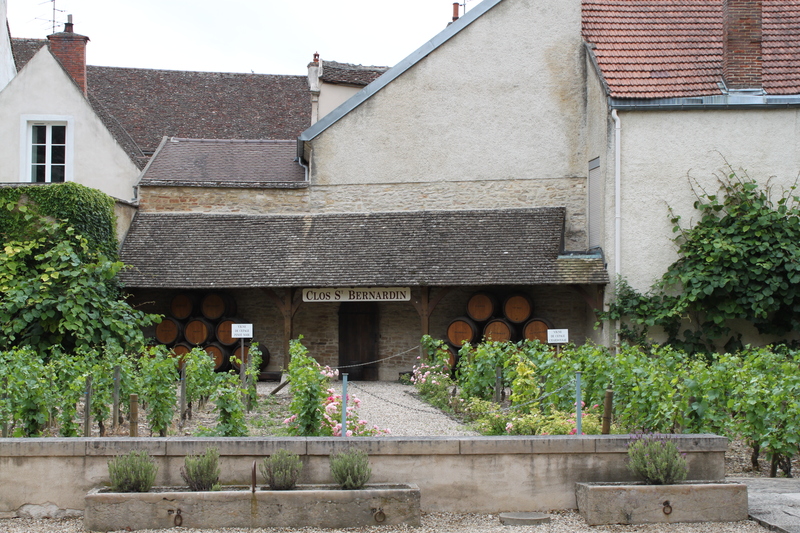 We peddled through the tiny towns of Pommard and Volnay before finding a perfect picnic spot in Meursault. Some red wine, a couple cheeses, a baguette and some cherries and we were ready for the ride back to Beaune. Things were going along swimmingly until we got about 100 meters away from the bike rental shop (yes, I use the metric system now) and this tree came out from the middle of nowhere and ran smack into Anna’s mom’s nose. Can you believe it?! A helpful local called us a taxi, and Anna and her mom spent the next six hours (most of which waiting) at the hospital getting the wound cleaned up. An emergency room visit and a four days supply of French pain killers cost us a grand total of €3.20, and even though Susan will spend the next couple days bandaged up like she just got a fresh nose job, it was nothing a couple more glasses of wine and some tasty beef bourguignon couldn’t fix. Again we struck gold with our B&B, this time staying at Chez Marie. 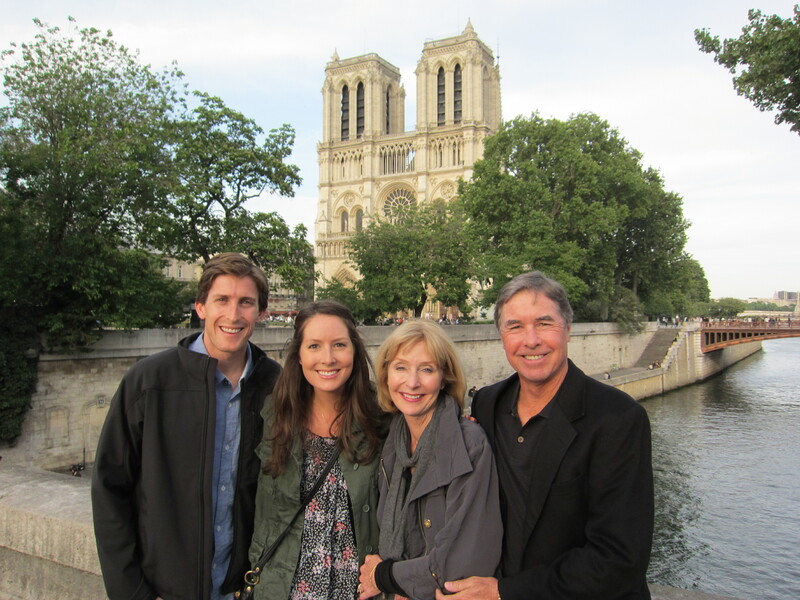 Marie, her husband Yves and especially their baby Gaspar made our stay a memorable one. Marie even gave Big Pete all that he could handle on the tennis court. Every morning we had granola, homemade yogurt, baguettes, enormous croissants, homemade quince jam and fresh squeezed orange juice, and in the afternoons we would have wine in their garden surrounded by 300 year old stone walls. And now we’re off to Avignon in the Provence region for some sunny weather, market days and, you guessed it, more wine. 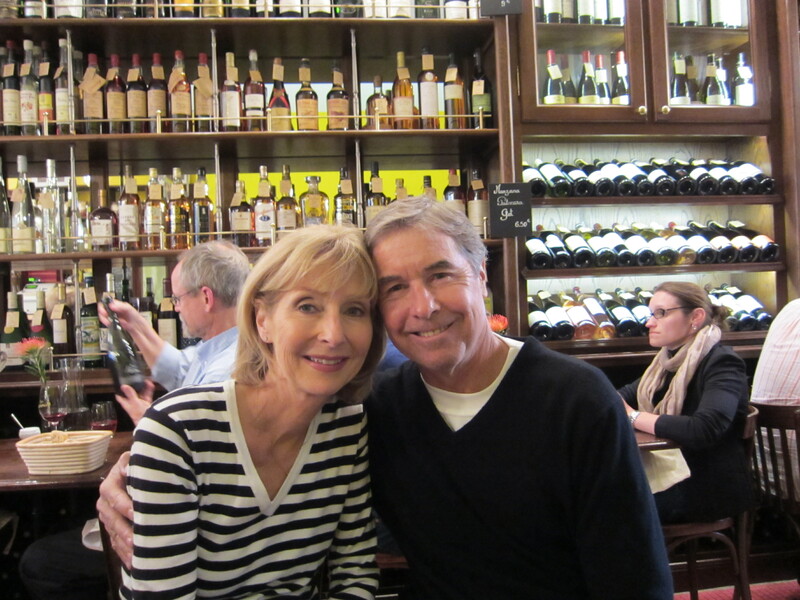 After a sad goodbye to Yves and Claudine at the Rennes train station, we made the two hour trip to Paris, city of love and light. 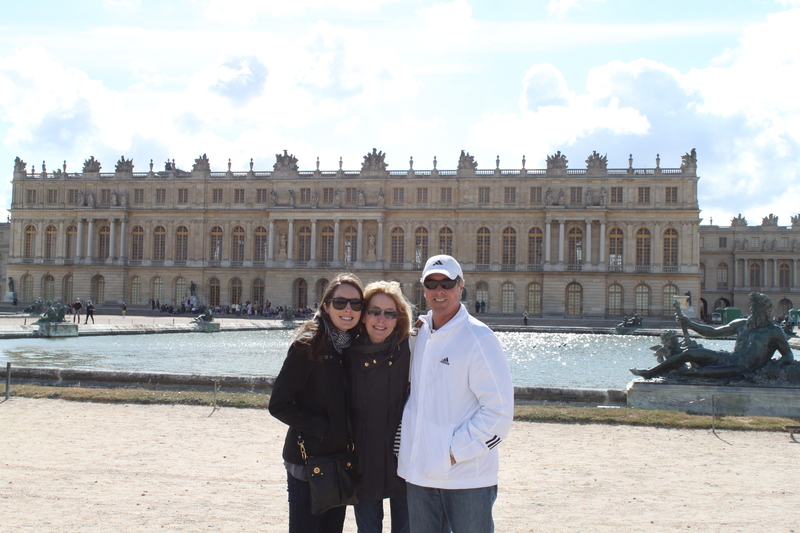 I was so excited to meet up with my parents who had already been in the city for a few days attending the French Open at Roland Garros. Our hotel was nothing to write home about, but we were able to get our entire stay for free with our Starwood Points…not too shabby! At dinner our first night we were quickly swept up in the magic of this enchanting city at the famous brasserie, La Coupole, where the likes of Picasso and Hemingway used to gather. A delicious meal and boisterously friendly waiters (who sent us rounds of champagne and chocolates on the house after discovering we were from California!) made for an unforgettable and perfect first evening in Paris. 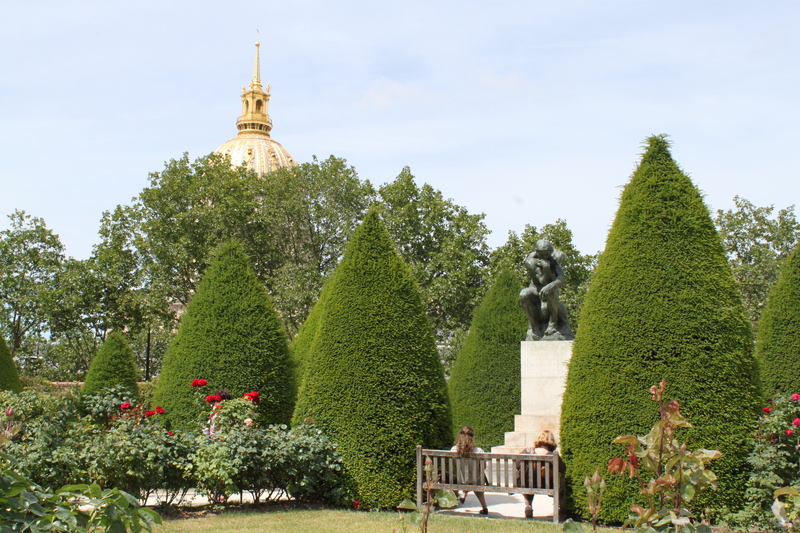 Over the next four days we walked (what felt like) every inch of the city; from the Luxembourg Gardens to Musée D’Orsay and Musée Rodin over to Café du Marche on Rue Cler (where Johnny finally got his Chèvre salad that John & Melissa had been telling him about! 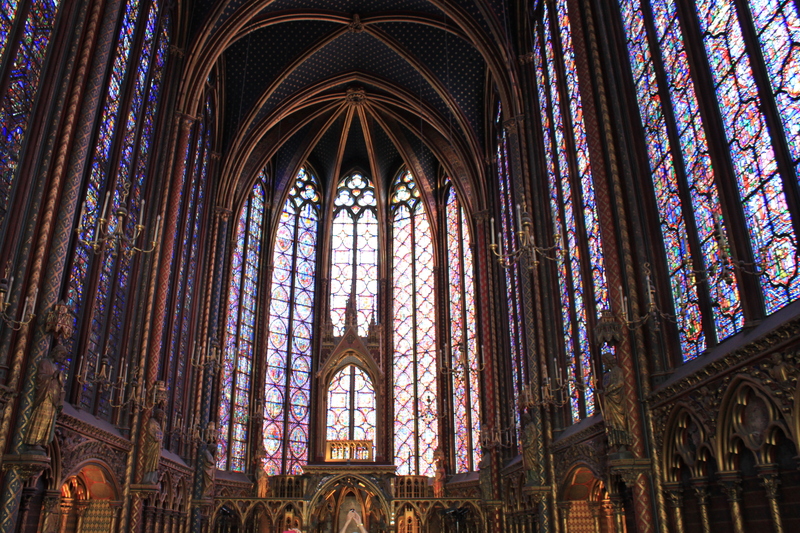 ), to the Eiffel Tower, up to Montemartre to Sacré Coeur and back down to the Louvre and Orangerie, along the Champs-Elysées to the Arc de Triomphe, to Sainte-Chapelle, Notre Dame, around the Marais, and finally topped it all off with a trip to Versailles! Along the way we consumed many “Sandwiches Mixtes,” choquettes, Chèvre salads, pichets of Sancerre, baguettes and croissants. I also had my first tried-and-true Boeuf Bourguignon, which was delicious (and probably a little better than the Williams-Sonoma starter in a jar;)). I have to say that my Dr. Scholl’s foot inserts for my Toms were probably one of the best investments I have ever made (even though I felt like I was 90-years-old when I bought them)! If Johnny and I don’t have awesomely-toned calves and bums by the end of this year, then there is something definitely wrong. 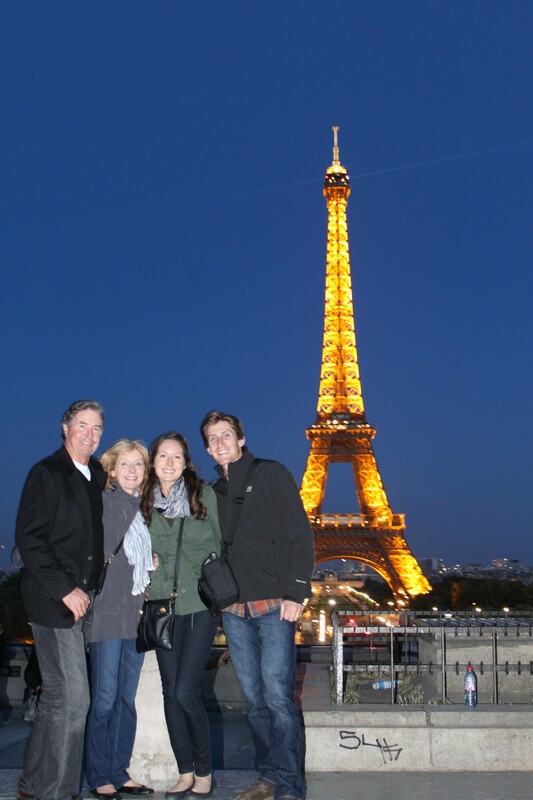 Highlights included a sunset walk down the Seine, the twinkling Eiffel Tower at dark, dinner at Le Coup Chou (Cameran & Jen, great rec! 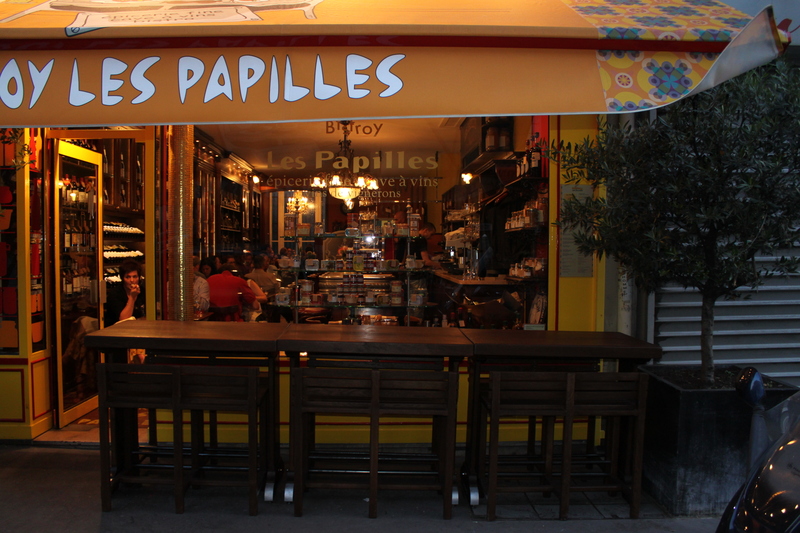 ), a crêpe with caramel and salted butter, the Shakespeare & Company bookstore (I have always wanted to go! ), strolling around the Marais and visiting Merci, an amazing store that I had heard about from our Quiksilver designers, and our final dinner at Les Papilles….arguably the best dinner of the trip, AND I could have lived in the tiny little restaurant/wine shop. 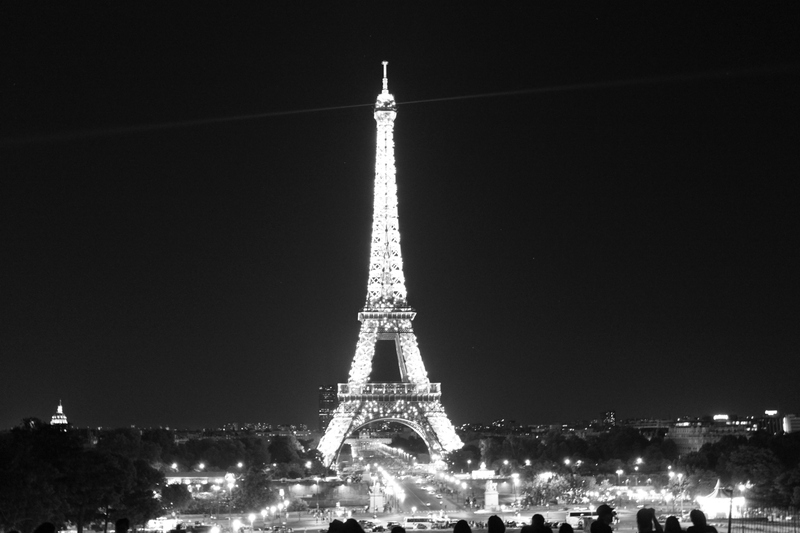 And finally….the beautiful Eiffel Tower at dusk (10pm).